The early bird catches the worm! My first thought when I woke up today was to get outside and go for a walk. I usually get up, and grab a coffee, check the latest online, but today something pulled me to get outside before the morning waned. I put on my coat and the first thing that grabbed me was the mist in the air when I stepped out into the morning. The damp heavy air covered my body like a cloak, and went deep into my lungs like a drink of water. I walked through the woods enjoying the shadow and light displays that are unique to that time of day and to the specific weather conditions. Walking beside Hoy Creek, I took photos along my way, enjoying the sounds and sights of morning. My ears were filled with the soft sounds of the creek, birds chirping, and the odd 'good morning' shared between people I passed on the path out walking their dogs. 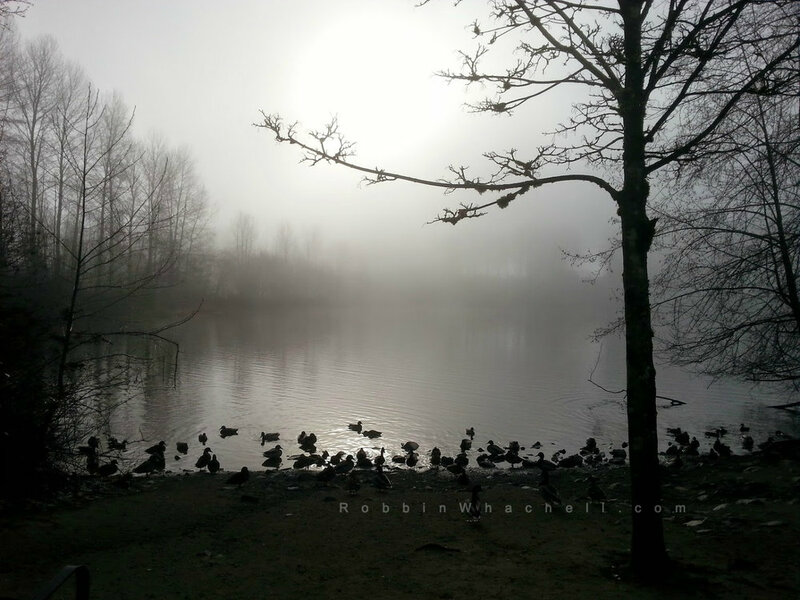 When I got to the first large clearing of Town Center Park, and Lafarge Lake the misty morning fog was most evident there, likely due to the body of water. I could see the orb of the sun trying its best to burn its way through. I took these photos with my Samsung cell phone and they turned out like black and whites stills, yet I altered nothing. They went direct from my phone to the web. 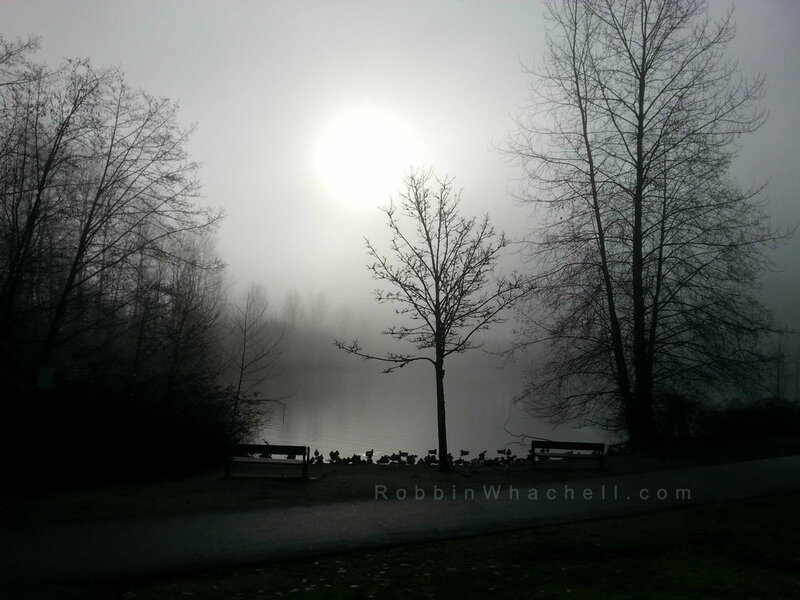 By the time I got back home, the sun was out in full force and the mist had gone. It became a glorious day.